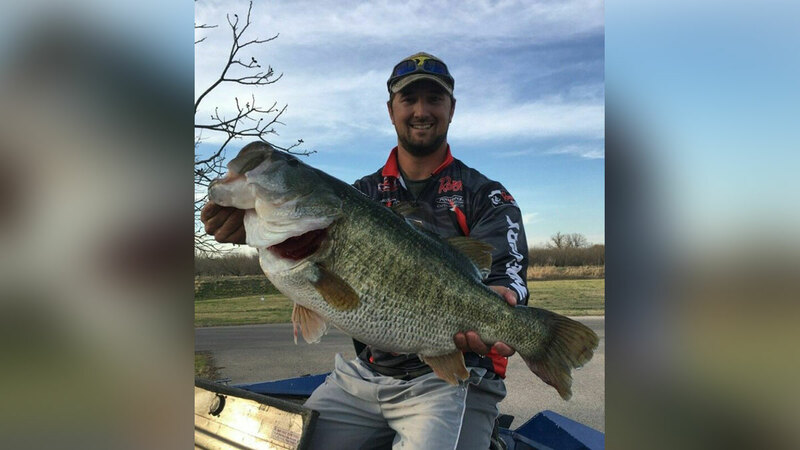 SAN ANGELO, TX-- Austin Terry fought to get a 13.40 lbs bass onto his boat Wednesday evening. The ShareLunker Elite Bass was caught at the Twin Buttes Resevoir and measured 25 and three-fourths inches. The catch is a part of the Texas Parks and Wildlife Department's Toyota ShareLunker program. Each year the TPWD receive bass like this and send them to the Texas Freshwater Fisheries Center in Athens, Texas. Once there the staff will do genetic testing on the fish to see if it is a pure, Florida largemouth bass. If tests prove that, the fish will then be used in a selective breeding process. If tests proves that it is a hybrid between a Florida largemouth and northern largemouth, it will not be used in the breeding process. For Mr. Terry, he receives a catch kit and will be entered into a drawing with a grand prize shopping spree of $5,000 and VIP access and awards programming at the 2018 Toyota Bassmaster Texas Fest along with other prizes. For the first time in more than 28 years, Twin Buttes Reservoir near San Angelo has produced a Toyota ShareLunker largemouth bass exceeding 13 pounds. Angler Austin Terry of San Angelo caught the 13.40 pound, 25 ¾ inch Legacy Class lunker on a Santone spinnerbait ½ ounce red river special in less than 4 feet of water at the lake March 14.